National Park Week runs through Sunday, April 28, so pack the sunscreen, set the GPS and head toward one of Colorado’s four national parks. 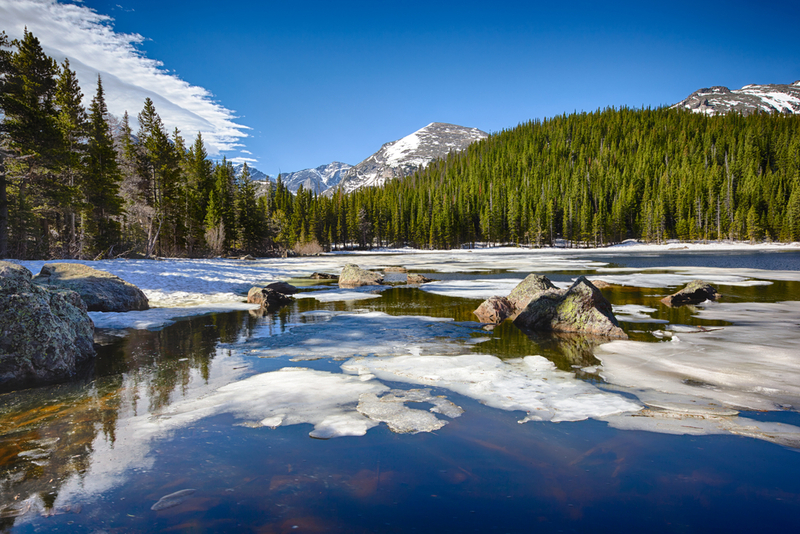 Rocky Mountain was the third most-visited park in the nation in 2018, according to the National Park Service, with nearly 4.6 million visitors. Get away from the tour buses and get a glimpse of the solitude and high-Alpine scenery that make Rocky truly iconic. Tucked away against the base of the Sangre de Cristo Mountain Range is a Colorado secret that feels otherworldly. 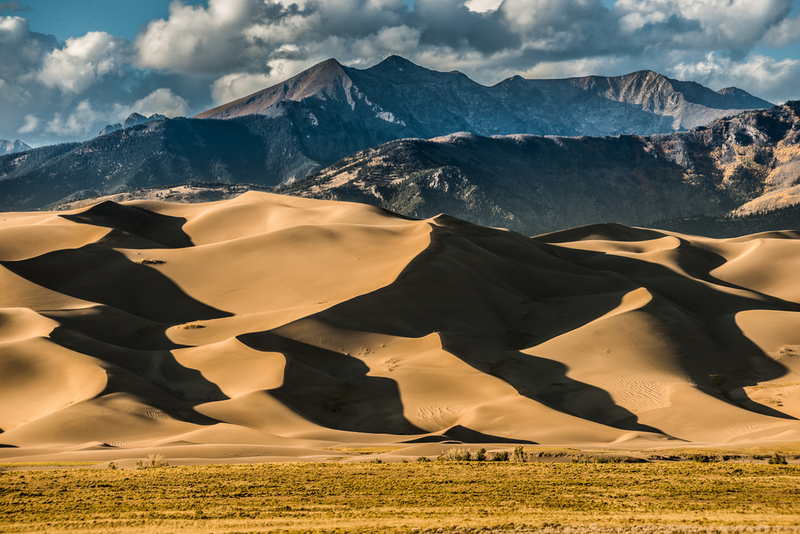 Great Sand Dunes sees significantly fewer visitors than Rocky Mountain. This means you can practically guarantee peace and quiet as you explore the massive sand dunes and all their wind-swept glory. 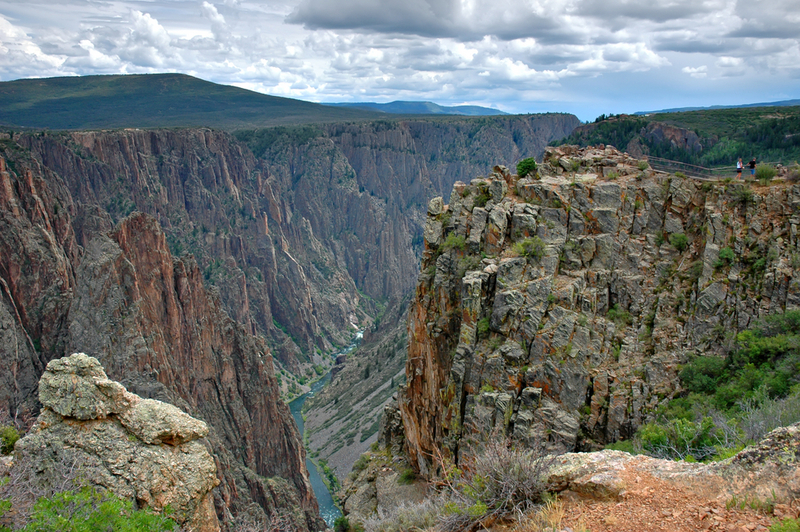 At just over 300,000 visitors in 2018, Black Canyon of the Gunnison is certainly one of the quieter parks that you will visit, which is great: You may have this gem all to yourself. Located near Montrose, Black Canyon is far from the crowds of Denver, so this gigantic ditch feels more intimate and private than its flashy Arizona relative. This Precambrian rock is nearly 2 million years old, according to colorado.com, and is named the Black Canyon because its walls are frequently darkened with shadows. 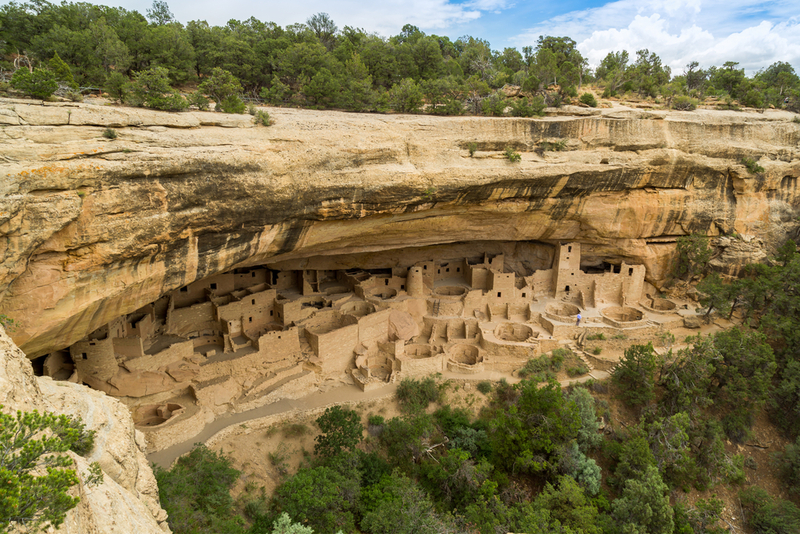 While the other three national parks all focus on natural features, Mesa Verde is the lone Colorado park (and UNESCO World Heritage Site) highlighting manmade structures. Sited in the Four Corners region in the southwestern quadrant of the state, Mesa Verde is home to 5,000 archaeological sites including 600 cliff dwellings hidden in the steep walls of the tree-covered mesa. These dwellings were the homes of the Ancestral Pueblo people who lived there between 600 and 1300 CE before leaving the region entirely. Today, these sites are some of the best-preserved dwellings in the United States, according to the Park Service. Colorado was a beer state since before it was a state. Adolph Coors and partner Jacob Schueler opened what was then the Golden Brewery in 1873, three years before Colorado achieved statehood. A century later, Colorado was at the forefront of the craft brewing movement when Boulder Beer launched in 1979 and laid claim to the title of first licensed “microbrewery” in the country. In an industry that’s seen its growth go flat in recent years, beer makers are on the lookout for, and, in many cases, already working on the next wrinkles to throw into their tanks that have potential to scoop up new drinkers or boost interest from existing ones. No surprise, Colorado is expected to be at the forefront of next wave of beer and beer alternatives, industry advocates say. To read the full story on The Denver Post website. Grammy-winners Patti LaBelle, Alan Parsons, Colbie Caillat and others will highlight a concert next month at Benedict Music Tent as part of a new Aspen event focusing on climate change. The group said that in an effort to minimize the size of its carbon footprint, there will be a block of free passes for Aspen and Colorado residents. The event will be by invitation-only to interested persons who send an explanation on why they want to attend. 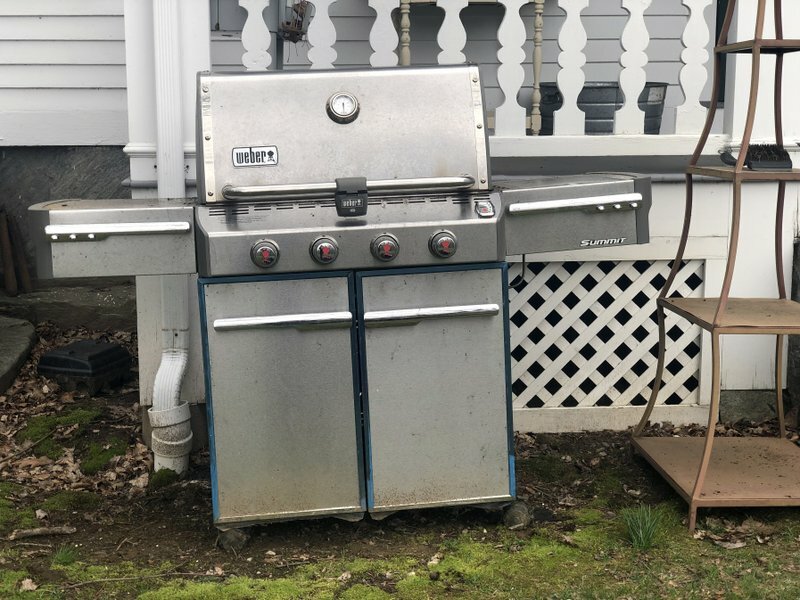 Mitch Salzstein, marketing director for the event, said Sunday several hundred people who apply on their website will be invited, but the key is getting people who are driven to help the environment. The Saturday concert will be livestreamed on the nonprofit’s website and hopes to bring international attention to the conference and its mission. The nonprofit wants to be a “financial catalyst for environmental pioneers,” so they can focus on solving rising global temperatures. They are backed by the MacArthur Foundation’s Lever for Change. “Earth’s Call was created around the belief that many of the most hopeful solutions to fight climate change get too little funding and attention — while those with funds and attention often struggle to connect with true innovators,” the announcement said. The Saturday night concert will also include Mickey Hart from Grateful Dead, R&B singer Anthony Hamilton, South African male choral group Ladysmith Black Mambazo, the female group Compton Kidz Club and the Earth’s Symphony Orchestra. For more information on the Aspen event, go to the Earth’s Call website at supportearthscall.org. 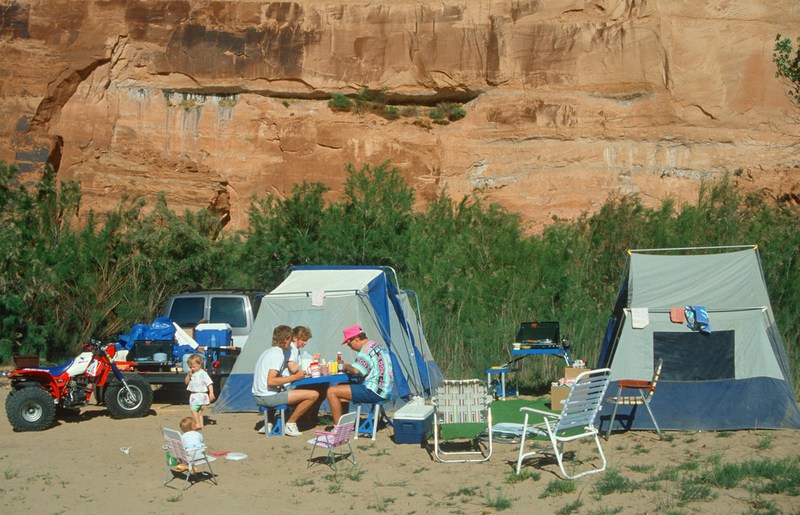 Family campsite by the Colorado River in Moab, Utah. Joan Osborne felt Bob Dylan’s presence before she ever saw him in-person. A lifelong Dylan devotee, Osborne’s singer-songwriter career had always been infused with his music and his influence. Her global sensation of a debut album, in 1995, included her take on the hidden Dylan gem “Man in the Long Black Coat” and she’d frequently included Dylan covers in her live sets. But along with those iconic early Dylan classics, the album spans five decades of the Dylan catalog and unearths some deep cuts like “Dark Eyes” (off of Dylan’s largely forgotten 1985 album “Empire Burlesque”) and “Tryin’ to Get to Heaven” (off of the definitive late-career Dylan album “Time Out of Mind” from 1997) and “High Water” (from 2001’s “Love and Theft”). Osborne admitted that even she didn’t know “Dark Eyes” until Patti Smith – who recorded a live duet version of it with Dylan – told her about it. Osbourne has also widely expanded her Dylan repertoire as she’s toured with the material over the last two years. Dylan is a towering culture figure and Nobel laureate who is also, somehow, an unknown and seemingly unknowable cipher of a human being. He has worn so many masks, taken on so many personas, revealed so little about his personal life, written and recorded so many hundreds of songs that he is beyond comprehension. When Osborne sang with the living members of the Grateful Dead for a stretch, beginning in 2003, they co-headlined a big summer tour with Dylan. They saw each other every day and sang together often on-stage, but Dylan – true to form – managed to not quite be there. Osborne this spring has been finishing up a new album of original material. After her years-long deep dive into Dylan’s world, he naturally seeped into her songwriting. Carbondale’s adventure film event 5Point Adventure Film Festival announced the winners of the Dream Project scholarship program Monday. The program is celebrating its 10th year. The program offers outstanding high school students from Aspen to Parachute the chance to explore their own personal boundaries and dreams. The seven students that best exemplify 5Point Film’s five guiding principles — purpose, respect, commitment, humility and balance — will receive a $1,500 scholarship to embark on an opportunity to follow their passion and actualize a dream. Previous recipients of the grant have undertaken projects including leading a youth backpacking trip in the Roaring Fork Valley, starting a peace garden at a local high school, shadowing writers in New York City, teaching soccer in Puerto Rico, kayaking and working to prevent malaria in Uganda. Ella Beck — A senior at Colorado Rocky Mountain School, Beck will be using her Dream Project funding to travel to rural Nepal, where she will be working with the Oda Foundation’s Women’s Empowerment Team. Her focus will be on breaking down the stigmas surrounding menstruation in poor, rural communities by helping distribute sanitary products. Isaac Musselman — A sophomore at Basalt High School, Musselman used his passion in aeronautics to educate and inspire others by creating an aviation and space club, which will include work with drones and rockets, guest speakers and astronomy nights, among other things. In addition, he will work to bring an aviation curriculum into the Roaring Fork School system. Beverly Patton — A junior at Roaring Fork High School discovered her passion for writing and poetry when Aspen Words poets visited her school, and she learned a powerful new way to express her voice. Her dream is to share her love of poetry by teaching a weekly, semester-long poetry class to local middle school students. Emily Northrup — A senior at Basalt High School, Northrup will be using her Dream Project funding to purchase her own cello, which will allow her to pursue her dream of becoming a music educator when she attends Brigham Young University in the fall. Molly Hancock — A junior at Glenwood Springs High School, Hancock will be channeling her love of horses into creating a documentary about the Riding Institute for Disabled Equestrians (RIDE), an equine therapy program for developmentally and physically disabled children and adults. Carla Soto — A junior at Basalt High School, Soto, who cares deeply about immigration and art, will be traveling to El Paso, Texas, where she’ll use her passion for photography to bring awareness to immigration issues arising from current border policies. Three additional students, Eli Li, Chloe Gonzalez and Sarah Teague, made history by applying for their Dream Project jointly. This dynamic force will be headed to Denver to work with Urban Peak, an organization serving homeless youth. In addition, they will be investigating what legislators are doing to address the issues of homelessness and extreme poverty in the United States. Throughout 5Point Film 2019, taking place April 25-28, Dream Project recipients since 2009 will be honored through events and programming over the festival weekend, including a reception, a Dream Project retrospective exhibition, and an award ceremony for the 2019 recipients. The scholarships are made possible through support from community partnerships with Timbers Resorts, Alpine Bank, Amore Realty, Colorado Office of Film Television & Media, Poss Architecture + Planning and Interior Design, and 2757 Design.